Today on The Ave Podcast; I invite Jan-Michael Nation (Ryerson University Hall of Famer & Alumnist) to the show as we break down the first third of the 2018-19 NBA Season. On Part 2 we dole out our early season NBA Awards (6th Man, ROY, DPOY, MVP, etc), dispute our All-NBA selections, make our selections for #TeamTrainwreck, plus more. To subscribe to South Shore Ave, click onto the Follow button, and enter your email address, or click onto the RSS Feed. Very special thanks to Jan-Michael Nation for his guest appearance on this podcast. This entry was posted in Basketball, South Shore Ave Radio, Sports and tagged Anthony Davis, Basketball, Cleveland Cavaliers, Derrick Rose, Giannis Antetokounmpo, John Wall, Kawhi Leonard, Kevin Durant, LeBron James, Markelle Fultz, NBA, Pascal Siakim, Philadelphia 76ers, Toronto, Washington Wizards on December 11, 2018 by Cal Cee. Welcome back to The Ave Podcast. 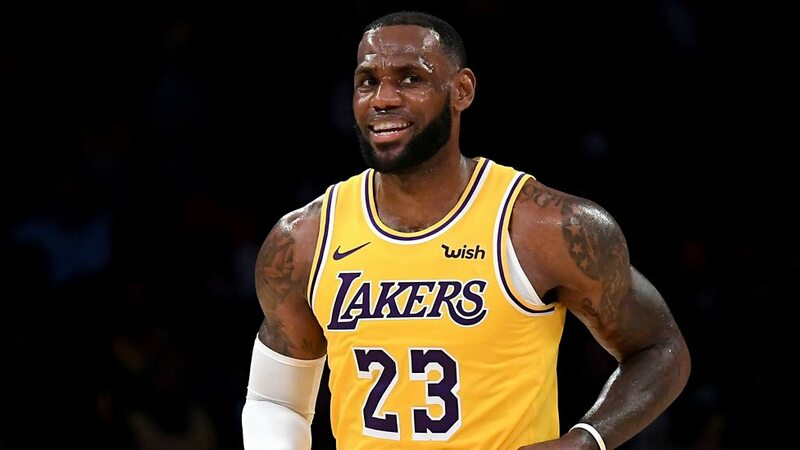 On Part 2 of South Shore Ave’s 2018-19 NBA Season Preview, we break down the projected playoff teams of the NBA Western Conference with Julian aka Jules Da Commish. We’ll be ranking each team in the West from the bottom to the top. You’re not going to believe this…..but Golden State made the list. I’m shocked too. To listen to Part 1 of The Western Conference Preview #LotteryTeams, click here. This entry was posted in Basketball, South Shore Ave Radio, Sports and tagged Anthony Davis, Chris Paul, Donovan Mitchell, Draymond Green, Golden St. Warriors, Houston Rockets, James Harden, Kevin Durant, Klay Thompson, LeBron James, Los Angeles Lakers, NBA, Oklahoma City Thunder, Russell Westbrook, Steph Curry on October 10, 2018 by Cal Cee. Today on The Ave Podcast, I invite O’Neil Kamaka (St. Mary’s Alumnist. Oakwood Collegiate Asst. Head Coach), as we discuss the early surprises of the season so far. Plus we get into our very early NBA MVP candidates, Kyrie Irving shedding his “Robin” role. Plus O’Neil shares his experience coaching Canadian High school phenom R.J. Barrett on the AAU circuit this past summer, his passion for coaching, the legendary Eastern Commerce vs. Oakwood rivalry, and a lot more. To subscribe to South Shore Ave, click onto the Follow button, and enter your email address, or click onto the RSS Feed. Very special thanks to O’Neil Kamaka for his guest appearance on this podcast. This entry was posted in Basketball, South Shore Ave Radio, Sports and tagged Andre Drummond, Anthony Davis, Basketball, Detroit Pistons, Giannis Antetokounmpo, James Harden, Kristaps Porzingis, Kyrie Irving, LeBron James, NBA, R.J. Barrett, Team Canada, Victor Oladipo on November 10, 2017 by Cal Cee. Who is the 2014-15 NBA MVP? 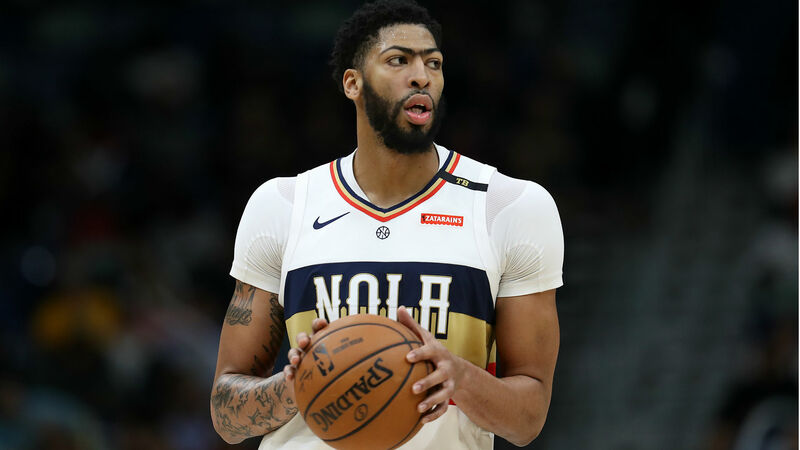 Anthony Davis: Probably has been my favorite player to watch this season outside of Steph Curry, but he’s missed just enough games (14) and had to leave others due to injuries to offset his production (24.2 PPG / 10.2 RPG /2.9 BPG). He’s been great, and I would have ranked him higher if he missed less games, or had less injuries. He will win the MVP within the next two years. Mark it down as my semi-bold prediction of the week. LeBron James: His stats are status quo for him (25.3 PPG / 6 RPG / 7.3 ASG) & overall he’s still the best basketball player in the world. If I had to start a franchise right now, I would still choose LeBron. However, I would have to automatically disqualify him once he takes a two-week vacation during the middle of the season. Until the trades the Cavs pulled right before he returned from his “vacay”, he was being passive-aggressive on the floor, and appeared a step slow. Ever since his return, he led Cleveland back to the 2nd spot in the East, they still ended the season 7 games behind Atlanta. I can’t give the MVP to someone who’s that far behind the #1 seed, unless they’re having a truly historic season, and his season doesn’t qualify. Russell Westbrook: Westbrook is having a historic season (28.1 / 7.3 / 8.6). He’s only the 3rd player to have this many triple doubles (11) in one season. Not even Magic Johnson himself did anything like that. In any other year, he would win the award. However, I’ll take you back to 2006. Remember when Kobe Bryant was dropping 50 point games as easy as it was to breath air? When he would drop 63, in three quarters on the Mavericks; or 81 against the Raptors on his way to averaging 35 points a game??? The Laker squad he had to carry that year to the playoffs consisted of Lamar Odom and a bunch of carcasses. He was clearly the best player in basketball. You know what place he finished in the MVP voting? Fourth. Fourth!!! You can argue that Westbrook is having a season just as impressive, especially when you throw in all the triple doubles…… but you can also argue that Westbrook’s teammates are much better than that Laker team, even with Kevin Durant and Serge Ibaka on the shelf. If Kobe couldn’t win MVP for carrying his team to the 8th seed during his historic season, then why should Russ? Steph Curry: ………… and when you’re throwing up stats that are just as impactful as your MVP competitors (23.8 / 4.7 / 7.7; 286 3’s made, making 44%) and your team has one of the best regular season records in NBA history, how can you not get the nod? Here’s one of my favorite Curry stats this year: Curry’s putting up those statistics over the season while sitting 17 fourth quarters due to blowouts. 17. His team is better than Harden’s, no question. However, he IS the reason why they are as great as they are. Zack Lowe of Grantland, also has a great article mentioning that Curry’s style of play is the reason why teams completely scrap their defenses against the Warriors, because they have to play so much attention to him at all times. I mentioned this earlier in the year as well, there is nothing in the NBA like Curry getting hot. If just lifts his whole team. Couple that jumper with his ball handling & his wizardry creating passes, he’s making a mockery of the defenders guarding him. Drake had it right a year ago, Steph’s been cooking with the sauce. Now, if Harden does win the MVP, I won’t be totally upset, but just understand it may not have been the right choice. What will Constitute a Successful Season for the Toronto Raptors? At this stage, if they can get just out of the 1st round, I think Raps nation will accept it. I’m actually disappointed about how the season has turned out for them in this regard. After building momentum from last year’s playoffs, and the first two months of the season where the Raps have the best record in the East, they have been 25-25 since Jan 1st. Now some of it was injuries (especially to their two best players, All Star Kyle Lowry and DeMar DeRozan), but some of it was indifference and questionable coaching. They had a chance to win around 55 games this season (which would have blown away their franchise high) but their play left a lot to be desired. A couple of nights ago, they still had a shot at 50 wins against Boston & squandered that victory at the buzzer. As much as I want to believe the Raps are the team that we saw in November and December, I kinda have to lean towards the mediocre team I’ve been watching the last four months, don’t I? Now they will face the Wizards team, that not a lot of people even believe they’ll get past. Potentially, if they can get to the 2nd round and push Atlanta to 6 or 7 games before losing, I think you should tip your hat off to the Raptors, and you look forward to next season. Anything less than that, I think the Duane Casey coaching seat is going to start getting warmer. Speaking of the Wizards…. Will Deron Williams and Joe Johnson do a basketball version of “Super Ugly” on Paul Pierce’s “Ether” comments? Well, hopefully they will on the court, because they didn’t really say much off it. The bad part about Pierce’s comments about Williams, is he’s 100% correct. Don’t forget, about 4-5- years ago, Williams was a Top-3 PG at worst, & it was considered a blessing when the Nets traded for him right before he went to Brooklyn. It’s like that Jay-Z line about Nas back in 2001, he went from Top 10 to not mentioned at all. One of my theories in sports is that teams take on the personality of their best player(s) the longer that “elite” player is there. With Williams, Joe Johnson, and Brook Lopez leading the way, right now this Brooklyn team is as exciting as being served a Wonder bread sandwich with a piece of cheese. Considering who they were competing with to get to the 8th spot — Indiana whose franchise player was on a 15-min restriction limit, and Miami who was a complete M.A.S.H. unit all season long — I guess we’ll have to just dig in. I’m almost positive the Nets have killed about 30% of basketball spirit coach Lionel Hollins had for the game, making him wish he was back in Atlanta guest-analyzing games with Rick Kamla on NBA TV. Now we have to watch this depressing Nets team battle against a 60-win Atlanta squad, that will literally be returning to the scene of the crime — get well soon Thabo — and playing with a chip on their shoulders after losing one of their best defensive players on their team. As basketball fans, let’s pray this series doesn’t go past four games. Sidenote: I don’t think enough credit goes to how bad Mikhail Prokorov and Billy King put this team together. I’d say King is fully responsible, but the pressure that Prokorov put on his shoulders to build a champion by 2015, forced him to make trades and moves that mortgaged their future until at least 2019. However, because it’s Billy King, I’m almost positive he will bring Brook Lopez back for even more money than ever before. I’m telling you, he overspends other people’s money like few people that I have ever seen. Who is my Darkhorse team for the playoffs? Am I allowed to say Atlanta? It may sound stupid to think of a 60-win team as a darkhorse, but I can’t honestly remember the last time a team dominated a conference like they did all season being disregarded quite like this. I think I might be the only person I know that feels that Atlanta has a real shot to make the NBA Finals. I wrote about this in January but Atlanta is anything but a fluke. This team is put together like the Spurs were last season, but the difference is, people keep thinking that the Spurs has three future Hall of Famers (Tim Duncan, Tony Parker, Manu Ginobbli) on it, which they do. Still, even last year, those guys were not playing at superstar levels individually. It was more based on a collective effort and team play that we as fans haven’t seen in decades. Atlanta plays the exact same way, it has four all stars in their primes (Al Horford, Paul Milsap, Kyle Korver) or just entering it (Jeff Teague), and proved it to everyone this year, just how successful they could be on both ends of the floor. There are rumors that even that Raptors were angling for that 4th seed so that if they beat Washington in Round 1, they’ll have a better shot of beating Atlanta than they would of Cleveland and Chicago. I can’t say that I blame them because both the Cavs & Bulls beat the Raps like a drum all season, but we’re acting as if Atlanta can’t do the same damage. Everyone is penciling in Cleveland as the Eastern Conference representative, but most of the players on the roster (not including LeBron) as well as their coach David Blatt are playoff rookies who haven’t played in high-pressure situations of these playoff games. They’re supposed to just walk into the Finals unscathed? I still would love a healthy Chicago team to make it out, but outside of Atlanta Hawks fans, I may be the only one that wouldn’t be completely stunned if the Hawks played well into June. Does it make sense to even discuss the Bucks – Bulls and Celtics – Cavs series? No. I would have liked to see Giannis Antetokounmpo make some noise in Round 1, but against Chicago & their focus to get to the Finals, he may look mediocre. Outside of the Raps-Wizards series, I’m probably boycotting the rest of the East until Round 2. Even as a 6th seed, does anyone else feel like San Antonio is a Finals favorite? Actually, seeing that they’re playing the Clippers in Round 1, let’s ask a better question…..
Will this 1st Round series expose Doc Rivers? It won’t expose Doc Rivers the coach, but Doc Rivers the GM. I will say this might be the best series of the 1st Round. It could very well be a slugfest. Contract Year DeAndre Jordan** will continue to man the paint as he has all season long; Chris Paul will be Chris Paul; and Blake Griffin should have a better showing than he did two years ago vs. San Antonio. That core, plus J.J. Reddick, Matt Barnes, and Jamal Crawford against the right matchup, is more than enough. Against San Antonio, I don’t feel like this is enough. This team isn’t deep enough, even though Matt Barnes has been playing better of late, they don’t really have a solid Small Forward (please don’t talk to me about Hedo “Ball” Turkoglu), if Blake or Contract Year DeAndre gets in foul trouble, you’re then asking Big Baby and Spencer Hawes to play big minutes. Worse, if CP3 starts running wild, the Spurs can thrown Kawhi Leonard on him to make his life miserable during major moments of games, and then Pops can lean on the ol’ Hack-A-Jordan routine that frazzles Contract Year DeAndre’s brain. It was great getting the homecourt edge and providing Steve Ballmer with extra playoff money to his bank account that I’m sure he doesn’t need, but I think Doc’s next order of business is to hire a solid GM in the offseason to help him make better personnel moves. ** Yes, I’m adding “Contract Year” to DeAndre’s name. Being in your Contract Year as a professional athlete is like Popeye eating his spinach or Mario getting the star in Mario Bros (cot damn did I date myself). It gives you 12 months worth of super powers, unless your name is JR Smith circa Playoffs 2013 or Kevin Love circa All Season 2015. What are the chances that Dallas can upset Houston in Round 1? Bigger than one might think. I would give Dallas a 45% chance. You can never underestimate playing against a rival or in-state team in the playoffs. Doesn’t matter where your seeded. It’s always intense and always close. Also, Rick Carlisle has the Rockets forwards Dwight Howard & Josh Smith to routinely put on the foul line for them to brick free throws and ruin continuity. On second thought, Kevin McHale can do the same with Rajon Rondo. I expect this series to be as chippy as the TOR – WAS series, and even more so. It also has the potential to be pretty ugly due to my previous Hack-A-Player statements. I also guarantee out of all the Western Conference series, I’ll be watching this series the least. Does Portland have a shot vs. The Grizzlies? Not with all the injuries they’ve sustained in the last two months that will cut into their depth. What’s more important however, will be the impact the results of this series will have on the Free Agency decisions of both LaMarcus Aldridge and Marc Gasol. Now, I don’t think either player will leave their current situations, but if either team gets dismissed quickly out of this round, you will start to hear those rumblings that one or the other may leave. In this case, that will be Aldridge, because I can’t imagine Portland getting to a Game 6. If that happens, he’s going to have to look at his team’s landscape (Wesley Matthews is an Unrestricted Free Agent coming off a torn achilles, and Robin Lopez is also a UFA) because it could change pretty drastically this summer. Will the Warriors and Pelicans series the most excitingly short series of all time? Lemme say this. I haven’t pitched my loyalty flag to an NBA team in decades. Not since Magic retired from the Lakers. Since then, I threw it up with the mid-90s Warriors until Tim Hardaway tore his knee up, then Chris Webber bolted after his rookie season to the Washington Bullets. Then I jumped on the Raptors bandwagon right during the VC/T-Mac era. I swore up and down during Vince’s 2nd season, we were getting the next Michael Jordan. After T-Mac left, and VC started to shows his um, “tendancies”, and he missed that shot against Philly, then beating me to Meow nightclub hours later, I jumped off the bandwagon so fast, I sprained both my ankles in the process. I fell in love with Steve Nash’s Phoenix Suns team, but between management screwing that situation up by being so cheap and not being able to get over the hump of surpassing the Spurs, Mavs, and Lakers, that ride ended for me as well. Since Blake Griffin started playing for the Clippers, I’ve been sitting pretty in the VIP section of the bandwagon…. but the way they play ball now (all the flopping and arguing after every call, plus Blake’s semi-refusal to use his physical gifts to annihilate his competition on a nightly basis) has me eyeing this Warriors squad these last two years. Hard. It didn’t help after watching how the Warriors pretty much manhandled the Clippers this season, with Curry trying to literally embarrass CP3 with every crossover, and shot fake he makes. We know they’re the best team in the NBA this season, but they are by far the most exciting. I don’t care who they play, I’m watching at least a half. If Curry or Thompson starts to heat up, and my phone starts blowing up, I’m pretty much locked in. Which takes me to this series. Part of the reason why I didn’t want OKC to make it is, outside of Westbrook, no one else can offer any type of resistance against the Warriors. Now, let’s be clear, the Warriors will win this series in about 4 or 5 games…. but with the way Anthony Davis plays basketball right now (especially on defense), I can’t imagine him not winning one game in this series by himself, unless he gets into a deer-in-the-headlights trance that he can’t snap out of. 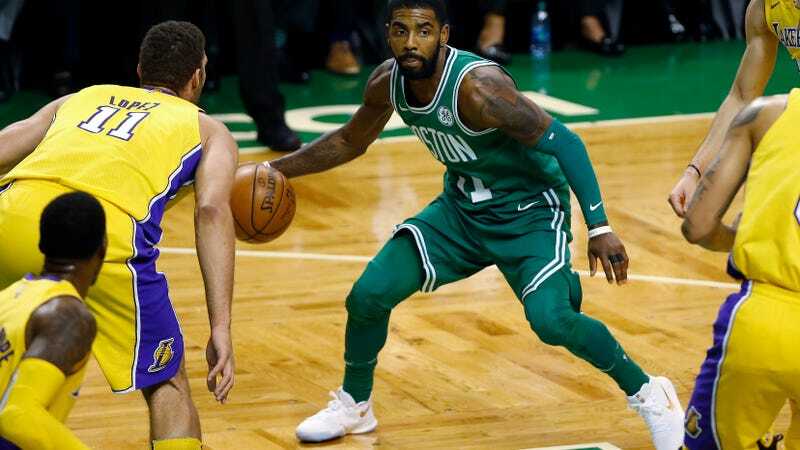 Outside of his offense, he plays basketball with such reckless defensive abandon, that I just can’t see how he stays nervous for an entire series. Even in his young career, he’s already been on some major basketball platforms. He won an NCAA title in his only season, and has been on Team USA for their last two gold medal runs during international competition (even if he’s was sitting the bench during the 2012 Olympics, he was around that pressure firsthand). Also, the way he played against San Antonio on Wednesday night (31/13/3 blocks), carrying the Pelicans to victory in a game that the Spurs absolutely had to have, tells me he won’t back down vs. Golden St., no matter how much better they are than his team. I won’t be missing a game of this series, and trust me, you shouldn’t either. This entry was posted in Basketball and tagged Anthony Davis, Basketball, Los Angeles Clippers, NBA, NBA MVP, NBA Playoffs, Steph Curry, Toronto, Toronto Raptors on April 18, 2015 by Cal Cee.